Apply now for your student's spot in Harrison Park's Summer Early Kindergarten Transition (EKT) Program ! 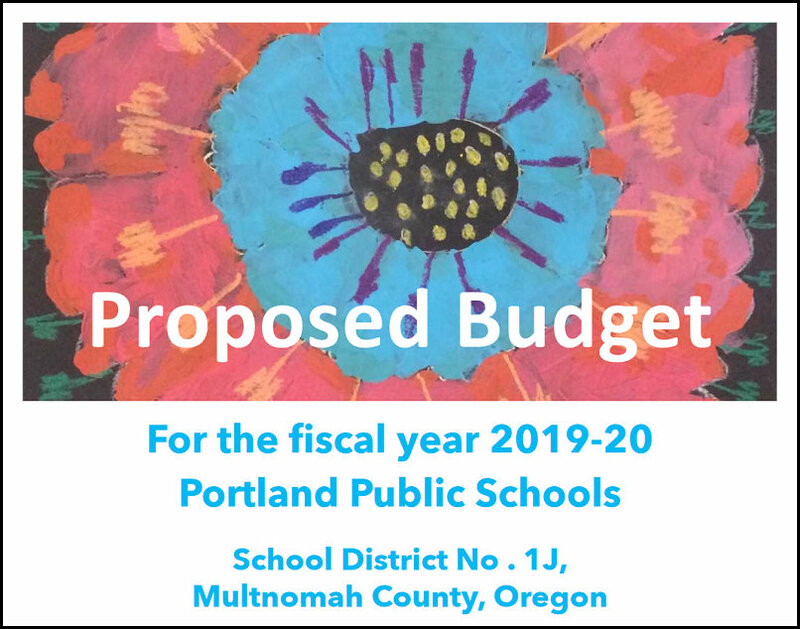 The Portland Public School Board of Education will unveil a new format to take feedback and answer questions about district finances and processes as part of the process of vetting and approving the 2019-20 budget. Climate change was the theme when Astor students held a number of events to recognize Earth Day on Monday, April 22. Students who were not able to participate in the global student climate change event last month asked to do something for Earth Day and organized a variety of activities. 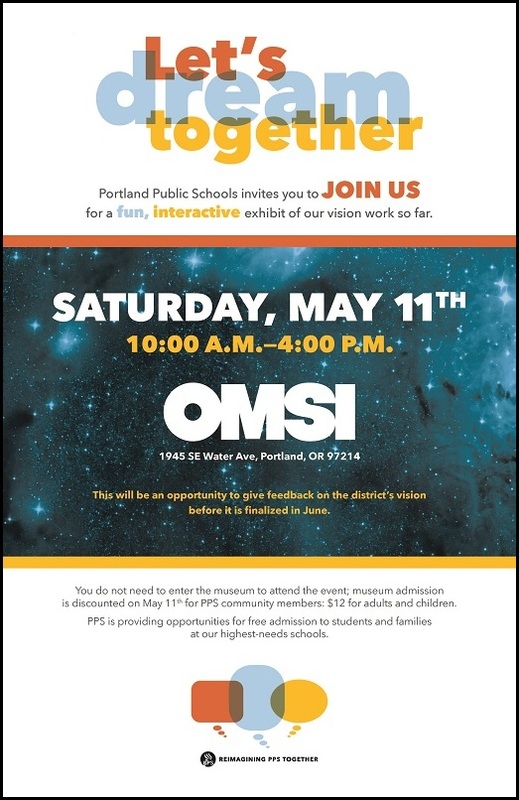 Portland Public School’s Visioning process will hit the road for a guest spot at one of Portland’s iconic attractions, OMSI. On Saturday, May 11, the Visioning core team will present an innovative, interactive exhibit of its work so far. PPS launched the Visioning initiative in 2018 as a way to identify and define what PPS can be, what it should be, and how students, staff, families and community can get to a defined and shared “North Star” for the district.